April 2014-April 2015: Developing a Strong Image of the Child. August 8-9: Being with Babies: Hearing Seeing and Understanding the PERSONHOOD of Children 0-3. As a culture when we think of babies perhaps a half dozen words will spring to mind: cute, helpless, adorable, exhausting, sweet, and loud. After working in infant and toddler classrooms for the last 20 years Kim Lee Ripley has a different set of words she uses: competent, powerful, generous, curious, respectful. In this presentation participants will explore and challange the ways in which they view children, under the age of 3, in their homes, classrooms, and community. Participants will expand their perceptions of very young children by reflecting on stories, and looking at photo and video documentation of infants and toddlers and their abilities to support each others learning and understandings. Using observational protocols participants will discover that as children are learning to walk and talk, children are also learning the beginning skills and dispositions that are essential to a healthy democracy. Special Presentation by Kim Lee Ripley: Researcher and Teacher of infants and toddlers at Hampshire College Early Learning Center in Amherst Massachusetts. Registration for this event is FREE and Required! Click here to register. September 12-13: Children as Citizens: Documenting Early Learning in Nature, Culture, and Community. This professional development experience will give participants the opportunity to gain a deeper understanding of the value of documentation while exploring nature, culture, and community with children. Participants will interact with the Wonder of Learning exhibit and create reflection and dialogue about teaching and learning as it relates to their own context. Guest speakers Jesus Oviedo, Chicago Commons Studio Coordinator and Jason Avery and Karyn Callaghan from Artists at the Centre, Hamilton, Ontario, Canada. Tickets are $129.12. Order now by clicking here. Room Blocks: have been reserved by NMWOLC at the Hotel Albuquerque for Friday, September 12, 2014 through Sunday, September 14, 2014 at the rate of $83.00 plus tax per night . To receive the group rate, you must state that you would like to be placed within the “NM Wonder of Learning Collaborative” block of rooms (or you may refer to the Block Code 1409NMWOND). The cutoff date for this rate is August 22, 2014. Click here for more info. Scholarship Application: NMWOLC will be awarding scholarships to New Mexico educators who cannot otherwise afford this professional development opportunity. Please complete and submit the attached application. October 23-25: Reflective Practice: Creating Professional Development Practices That Support the Teacher as Researcher. This professional development initiative will focus on how teachers are reflective in their practice with children AND within and among all of the adults who work with the children. It will also focus on how to invite family and community collaboration in reflective practice. This initiative will be an interactive experience where participants will engage in dialogue and look for ideas embedded in the “Wonder of Learning” related to reflective practice and where participants will create learning opportunities based on children’s interests and ideas. This is an opportunity for New Mexicans to learn from others how to engage in reflective practice for deepening their work with children and families as well as how to enhance assessment practices and to share how we are engaging in reflective practice. Presentations will be given by Reggio-inspired teachers from Arizona, Chicago, Illinois, Missouri, California and New Mexico. Tickets are $154.74. Order now by clicking here. Room Blocks: have been reserved by NMWOLC at the Hotel Albuquerque for Thursday, October 23, 2014 through Sunday, October 26, 2014 at the rate of $83.00 plus tax per night. To receive the group rate, guests must state that they would like to be placed within the “NM Wonder of Learning Collaborative” block of rooms (or they may refer to the Block Code 1410NMWOND). The cutoff date for this rate is October 2, 2014. Click here for more info. 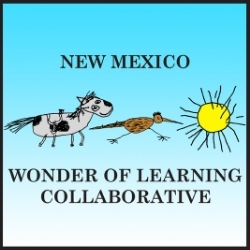 Scholarship application: NMWOLC will be awarding a number of scholarships to New Mexico educators who cannot otherwise afford this professional development opportunity. Please complete and submit the attached application. An educational exhibit created by Hawkins Centers of Learning illustrates dynamic approaches to learning and teaching that engage children’s existing curiosity using readily available materials. Through text and photos, viewers discover “curiosity-based learning” and are invited to integrate its concepts in their own experiences with children. Curiosity-based approaches to learning were championed by Frances and David Hawkins, who worked and consulted in schools worldwide. The philosophical foundations of the Hawkins’ theories are presented through classroom stories. Part of the exhibit is also designed to highlight the collaboration between David Hawkins and Loris Malaguzzi, architect of the world-renowned schools for young children in Reggio Emilia, Italy. Tour four classrooms of two early childhood programs, The NMSU School For Young Children and New Mexico School for the Deaf (Las Cruces Preschool). There will be classroom visits with children present during the day, classroom visits with no children in the lateafternoon, and presentations by teachers in the evening. 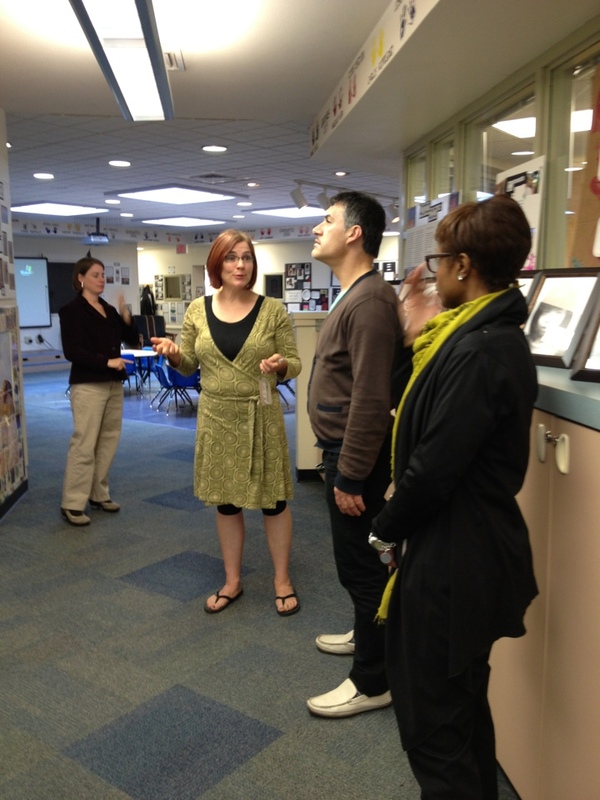 The tours offer an opportunity for early childhood educators, families and policymakers to visit early childhood classrooms learning about the Reggio Emilia Approach. You'll also hear presentations from teachers from the programs, and engage in dialogue focused on quality learning experiences for New Mexico children. Teachers who spend the afternoon visiting the schools and attending the presentations can receive training hours at the evening event. Tours have already taken place in Santa Fe and Taos, and are scheduled in Bernalillo County in May on a date to be announced. The workshop will be led by educators Alex Cruickshank and Barry Kluger-Bell from the Hawkins Learning Center in Boulder, Colorado, on March 8 at the New Mexico Museum of Natural History and Science. A reception follows on March 8 from 4 to 6 p.m. featuring speaker Ellen Hall, co-founder and board chair of Hawkins Learning Center and founder and executive director of Boulder Journey School, an innovative school for young childre inspired by the Reggio Emilia approach, in Boulder, Colorado. 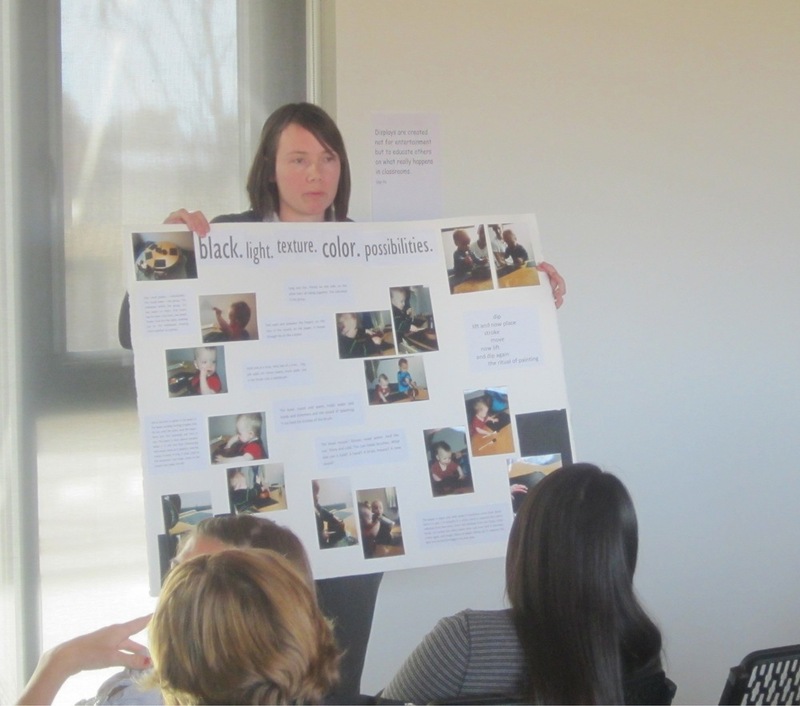 April 2014-April 2015: "Developing a Strong Image of the Child," An 8-Part Webinar series presented by the UNM Family Development Program and Center for Development and Disability. This FREE webinar series is offered in conjuction with the Reggio Emilia Wonder of Learning: 100 Languages of Children Exhibit. It is designed to explore the unfolding of the young child’s image through the lens of Reggio Emilia and child development leaders such as Vygotsky, Gardner, and Galinsky. Click Here to Register.